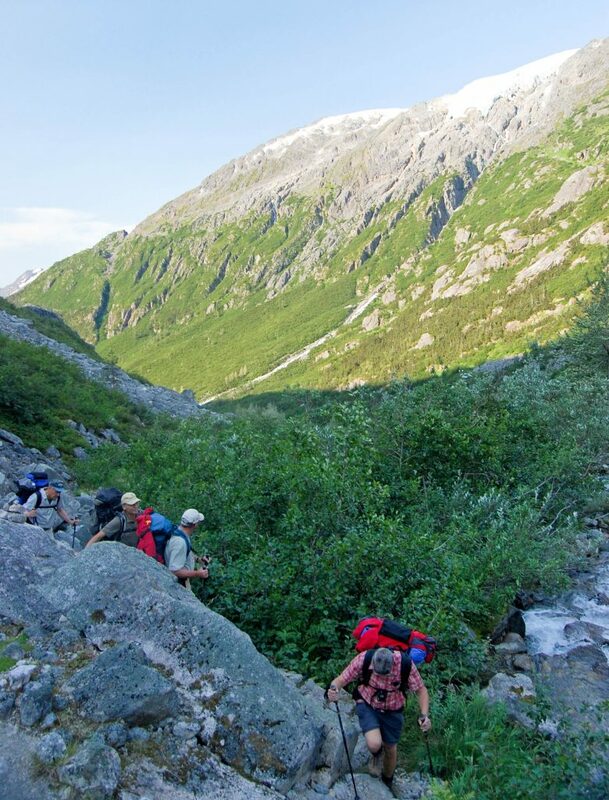 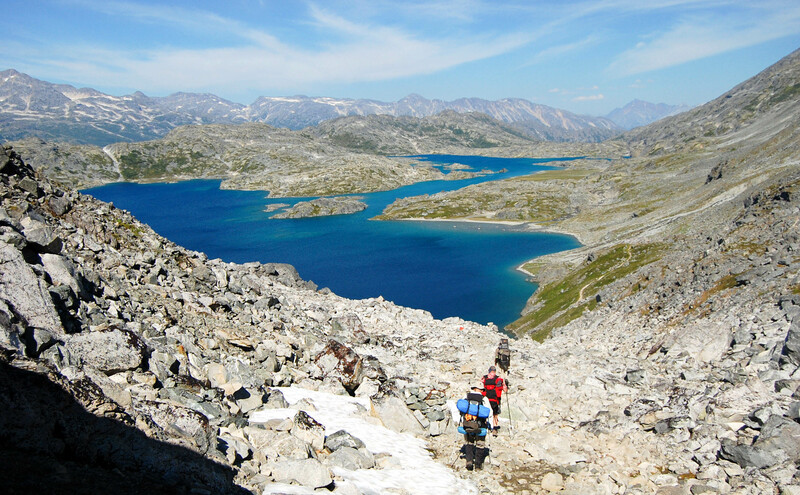 The Chilkoot Trail is the original backpacker’s route to the far North, crossing some of the most spectacular and diverse landscapes anywhere in the world. 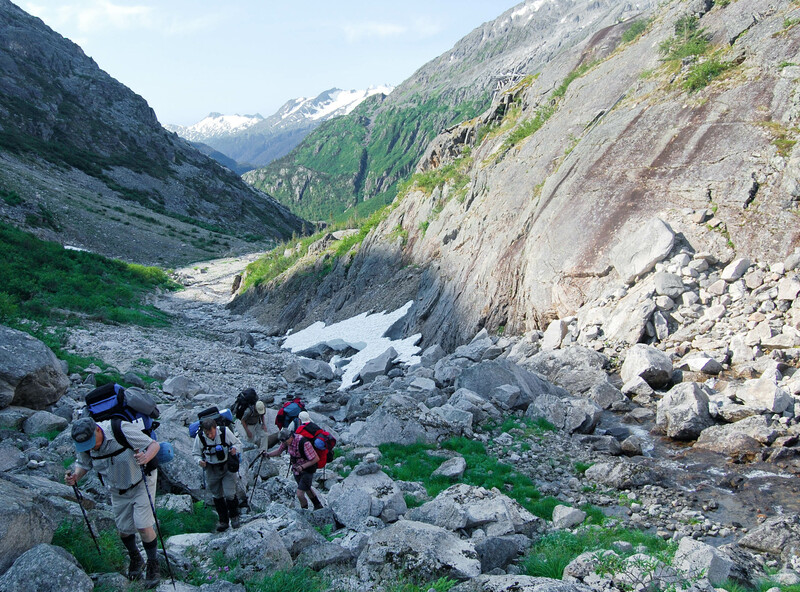 It’s one of only a handful of routes cross the high glacier-covered ranges of the Northern Coast Mountains, and certainly the most legendary. 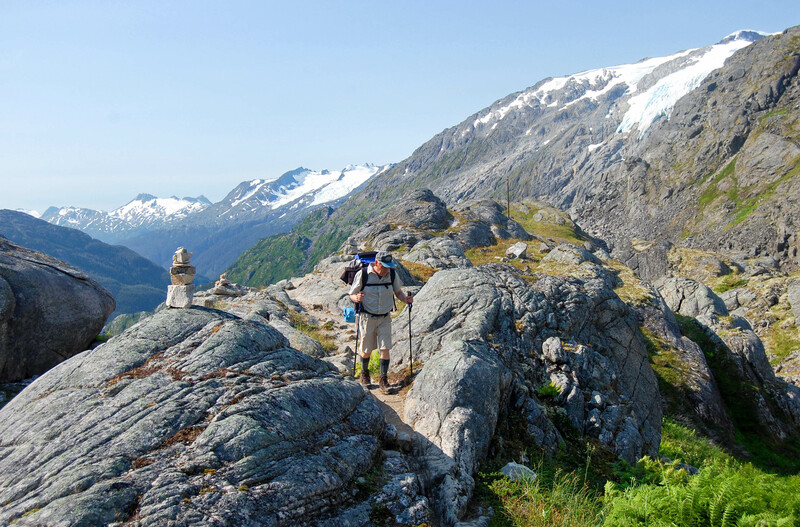 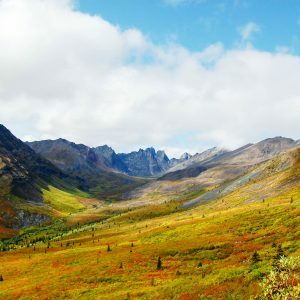 In just twenty-six kilometres, the route climbs from sea level to the 1067-metre continental divide, where coastal Alaskan rainforest gives way to delicate alpine tundra and the trail crosses the international boundary into Canada. 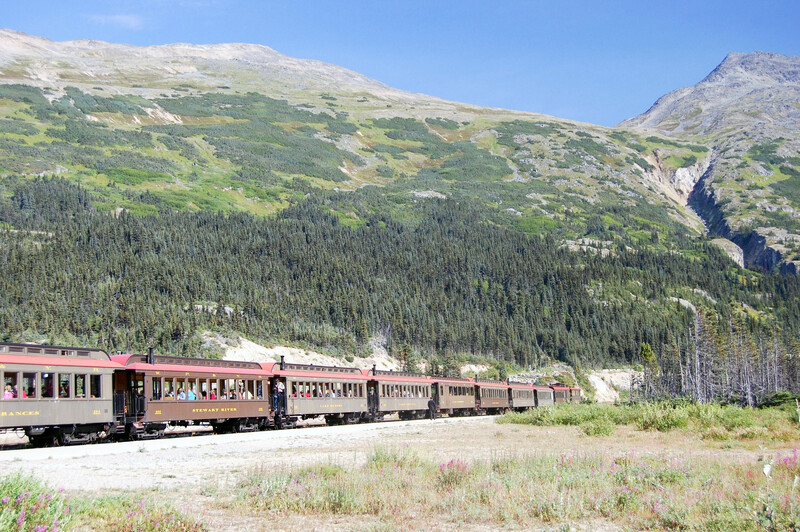 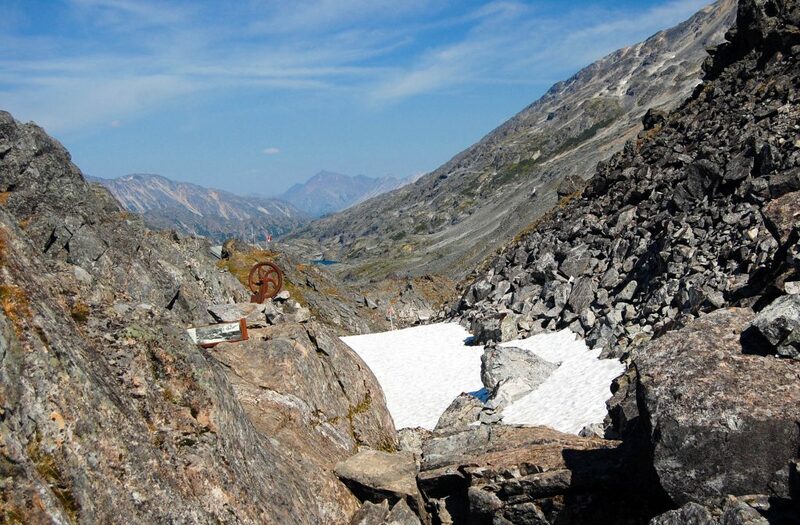 Though indigenous peoples had used this pass a trading route for millennia, the Chilkoot became an icon in 1898, with unforgettable images of hundreds of men and women staggered up the so-called Golden Stairs under crushing loads of food, caught up in the stampede to the gold fields at Dawson City. 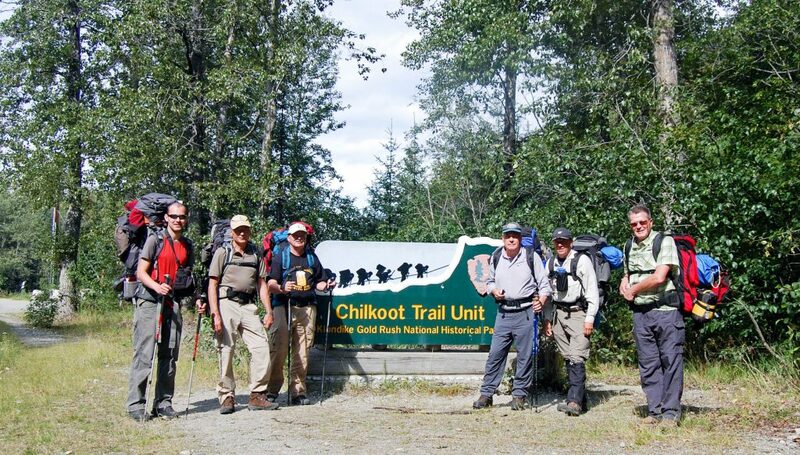 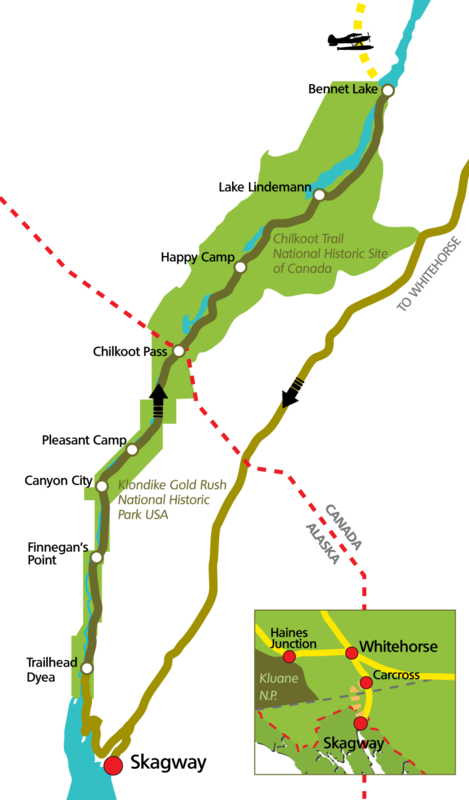 Today, visitors are capped to ensure the trail does not become so crowded, and the packs are considerably lighter. 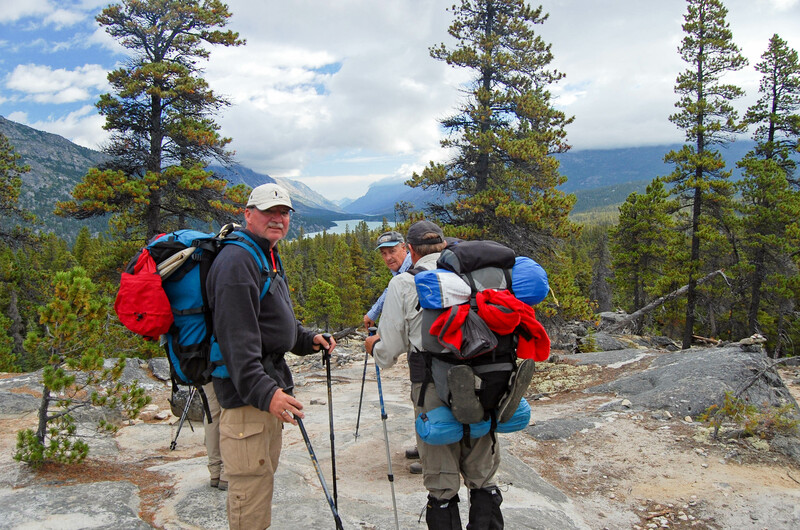 We have allowed five days to backpack the entire 52 kilometres, ensuring time to rest, explore, and revel in the scenery. 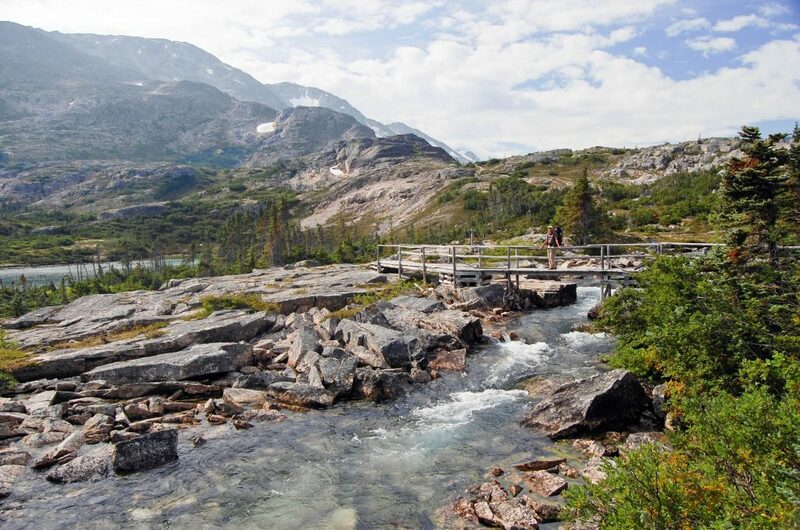 Our final destination is Lake Bennett, where most stampeders paused to build rafts and wooden boats for river journey to Dawson. 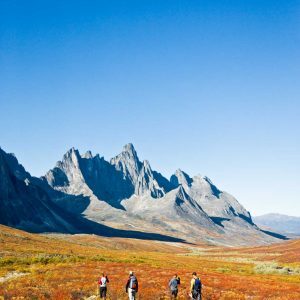 Here, at the historic ghost town, we’ll meet a float plane for a final trip over the last of the Coast Mountains to Whitehorse. 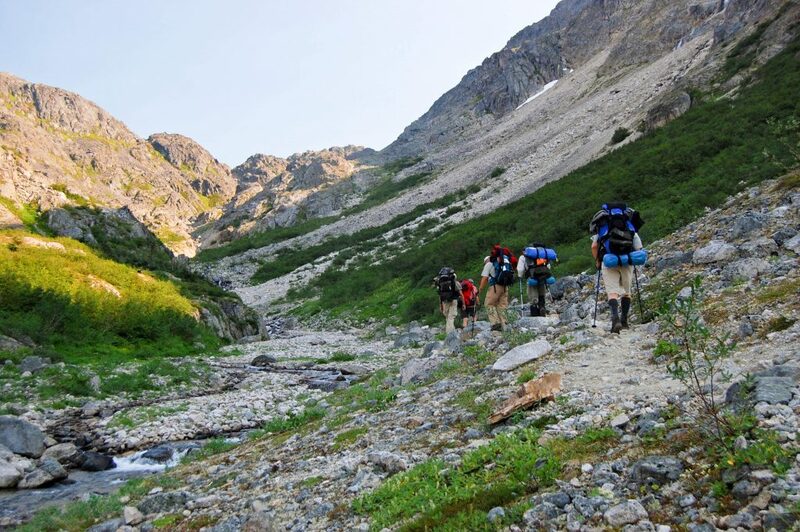 Backpacking is necessary. 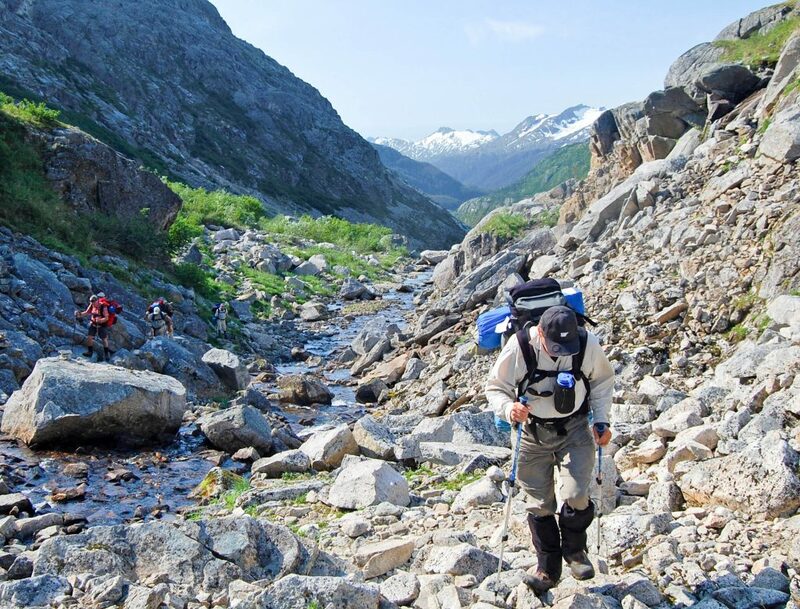 Gear and equipment will be split between participants. 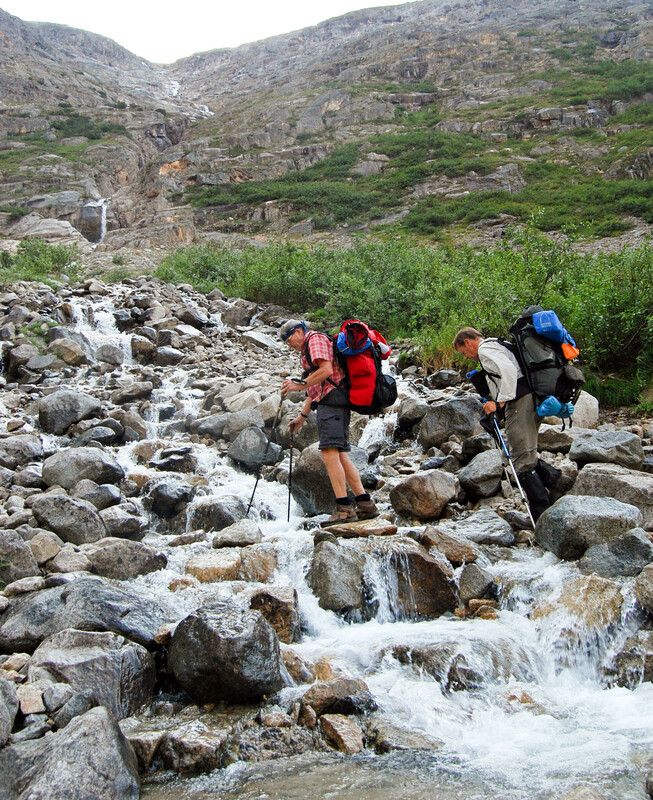 Each backpack will weigh 10-25kg.